An authentic Berber area situated in a scenic bowl shaped valley in the High Atlas Mountains south west of Marrakech. Ouirgane is well known with its Berber market every Thursdays when Berber families flock down from the remote villages by donkeys or mules. Valley become a very popular base for day walks and hikes to villages such as Tassa Ouirgane, Anraz, Tourourd and more. All day hikes and overnight treks are lead by our certified local guides who will always bring a mule for your children to ride if needed. Experience a cooking class with a native Berber family and and experience their way of living. Discover the remote neighboring Berber valleys such as Assif Zegzaouen and Azzaden valleys. Spend a night in a traditional Family house or gite. 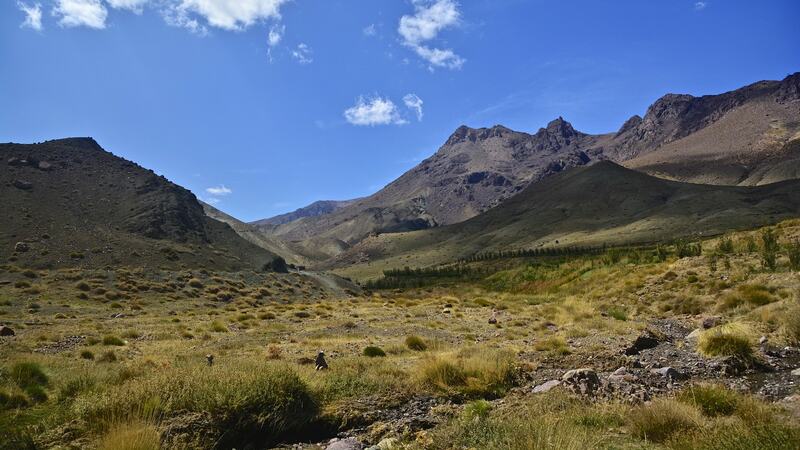 Head back to Ouirgane valley where you will enjoy some spectacular views of the High Atlas peaks. Cooking experience with a Berber native family - learn how to cook traditional Moroccan meals and make traditional clay oven home-made bread. Afternoon walk to the lake.